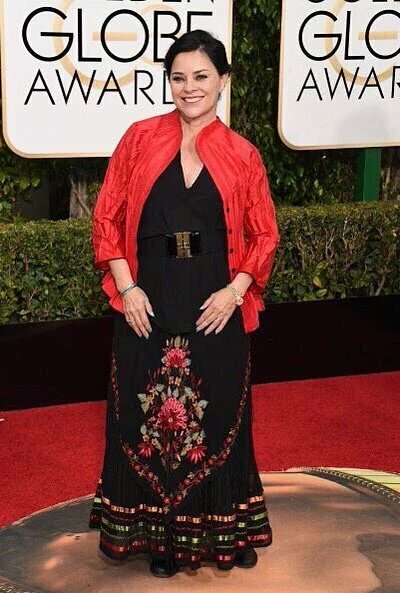 Here's Diana Gabaldon's account of what it was like to attend the Golden Globes. So gracious of Diana to provide us with a peek at something most of us will never experience personally. Karen, thank you for putting Diana's account here . The photos were wonderful. Everyone looked gorgeous! I would put Cait at the top of the best dressed list. She always looks elegant , classic, and regal, but this gown was my favorite look of hers so far. The outfits she wears in season two are unbelievably beautiful. I am especially coveting that jewel blue embroidered gown she wears as she is embraced by Sam on the blue sofa. That photo could be a painting by Renoir. Stunning. Hi Karen , It must have been an amazing expierence for her , even though "Outlander " , didn't win this time , hopefully she'll win next year, please post more soon, love your Blog, Sincerely Mary Tormey.